I just wanted to give a little reminder that this is the last week for my give-a-way. You can win one of the outfits above. Your choice of style and size. See this entry for more details. Also you only have a couple more weeks to get your orders from my store in time for Christmas shipping. If you’re stumbling on what to give please know that I also have gift certificates in whatever increment you want to give. Finally I will be updating my shop with new designs and ready to ship stuff later today. I hope you all have a lovely Tuesday. I’m in charge of rolls and green bean casserole. I also think I’ll try my first apple pie. 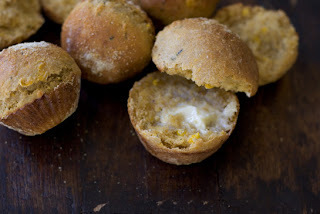 I’m going to use a recipe from the 101 Cookbooks blog for the corn bread rolls and I think I’ll make some good old fashion Lion House Rolls. The Lion House Restaraunt here in Salt Lake makes the most delicious white rolls; oh so buttery. I found and tweaked a recipe for them last year. I like variety so I think I’ll halve both recipes. The green bean casserole will be mostly the same as the soup can style but with some cheese. And the apple pie is from allrecipes.com. If it turns out I’ll share it here. Eat it. Bake 375 F for 15-25 minutes brush with butter. Enjoy. Great with honey butter. If you’re over here in the states what’s your job this Thanksgiving? Littleput and friends have put together this cool new blog to showcase different sellers on Etsy’s stores. When you go there you can select a category and see live listings. It’s very cool a little tought to explain but go check it out you might find a cool new store. Hopefully I will be added to the list next time they do an update. Because most of my products are made to order, to ensure Christmas delivery please order by Dec. 5 in the US. Also depending on how many orders I receive leading up to the holidays I may be forced to limit the number of orders I take during that time. Those ordering up to Dec. 10 and international buyers might want to consider convoing for an upgrade to priority mail. I won’t have a cut off unless I am totally overloaded by orders, but please make note of these dates if you are hoping to get something in time for gift giving. Also the give-a-way. Remember you have the opportunity to win a free RaeGun outfit. See Nov. 5th’s post for more details. I’d love any help spreading the word to your message board friends, on your blog, etc. (thanks Jackie at femputer and Tanya). I’ve had this overwhelming desire to be more festive this year. I feel like getting married and moving into a dinky in no way permanent condo made me a little less into decorating for Christmas. But this year it’s been different. I fondly remember being in craft classes at the local craft store as a child practically every holiday. 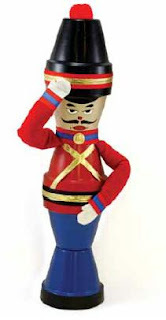 Two of my favorite crafts were Christmas ones -the log santa and the clay pot soldiers. I miss my mom’s decorations and her hand beaded tree. I’m starting to realize that now that I’m a grown up it’s time for me to start collecting my own decorations. I plan on making these guys sometime in the coming weeks. I’ve found some instructions/ tutorial here and here. They aren’t quite like “Pierre”, “Jacque”, and “Little Guy”. Something missing in these instructions were gold confetting star bursts on the sides of their heads and a chin strap. Me (in the evil lady? 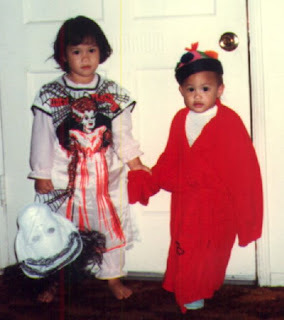 costume) with my little sister once upon a time. Have a great Halloween!